Road Movie traces a system of segregated roads that fall under the Israeli military’s control of the West Bank and that symbolize Israel’s architectural dominion over the land. 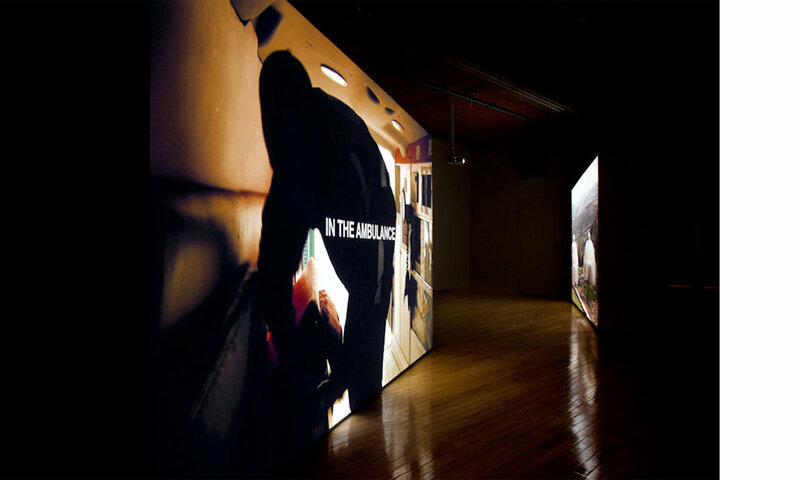 Consisting of twelve fragmented narratives spanning three staggered walls and projected on either side, viewers are invited to cross between the two “sides” of the work and to immerse themselves in a conversation they may not otherwise have had. Shot in stop-motion animation and unfolding over three successive walls, the work often resembles a film strip, beckoning us to consider the elision between moving and still images. Public Studio gratefully acknowledges the support of the Toronto Arts Council, Ontario Arts Council, and the Canada Council for the development and production of this project.